Francesco Garri Garripoli left a medical school scholarship in 1977 to study energy healing with a Master in Hawaii. 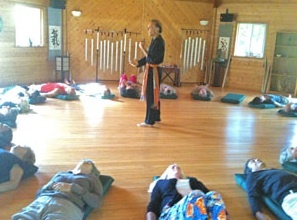 He spent two years studying and filming in China while creating the Qigong documentary which airs on Public Television. 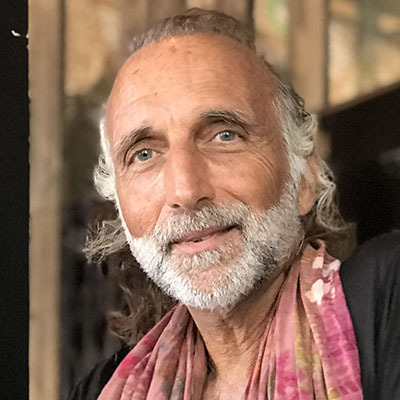 Current president of the non-profit Qigong Institute (www.qigonginstitute.org), Francesco is the author of Qigong - Essence of the Healing Dance and Tao of the Ride - Motorcycles and the Mechanics of the Soul and has studied Qigong and Eastern healing arts for 30 years. Dreaming Awake is a collection of Guided Meditations and concepts presented in the soon-to-be-published book by Francesco Garri Garripoli. One or more new audio recordings are added each month, so your paid subscription will provide you with at least a dozen new and empowering meditations each year recorded of Francesco sharing the core concepts of his upcoming book. These MP3 audio meditations can be streamed live or you can download to listen on your mobile device or computer. A Demonstration of Wuji Swimming Dragon Qigong by Francesco Garripoli, Emmy and Telly award winning Chairman of the Board of the Qigong Institute.